The puzzle-platformer Portal with its original game mechanics and the dark but humorous atmosphere grew a big fan base over the years. 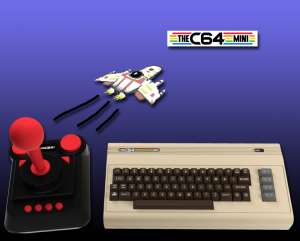 Jamie Fuller also is a fan of this game, but also of the C64. So he merged those two things and created this fan homage together with the graphician Del Seymour and our own musician Roy Widding. I’m pretty sure there’s cake for you after all those tests. 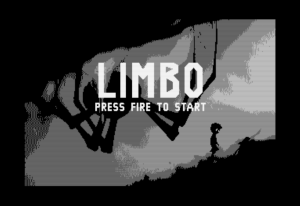 But see for yourself, the game can be downloaded for free at Jamie Fuller’s web page. 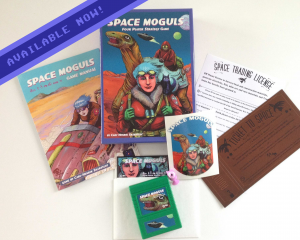 Space Moguls is available now! 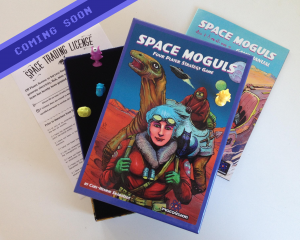 Space Moguls, the homage to the strategy classic M.U.L.E. is now available! 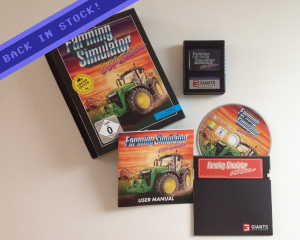 There is a disk, a cartridge or disk & cartridge version, each in a beautiful box including goodies, waiting for you in our shop. Buy it here! Sam’s Journey has cracked the 2000! Wow! 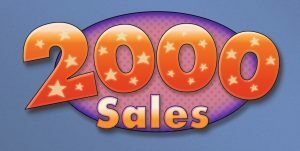 Unbelievable 2000 copies of Sam’s Journey have been sold already! 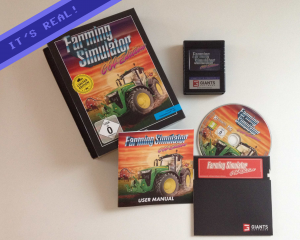 That’s reason enough to celebrate… Still got no copy? Here you go! The wait is finally over! 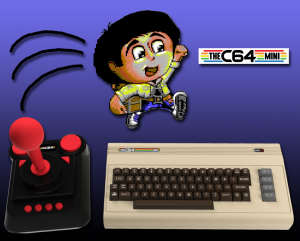 There is a special version of Sam’s Journey especially for THEC64 Mini now. The additional buttons can be used to jump. This version is part of the download packages in the Protovision-Shop and on itch.io. All our customers can download this new version free of charge. Get your download here! 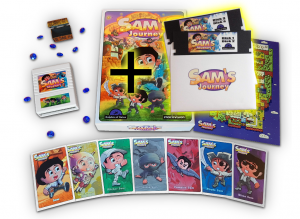 Due to high demand we now also have a disk & cartridge version for Sam’s Journey in stock! For buyers of the cartridge version: You can now order the disk set as an upgrade to your version. Check it out in our Shop!